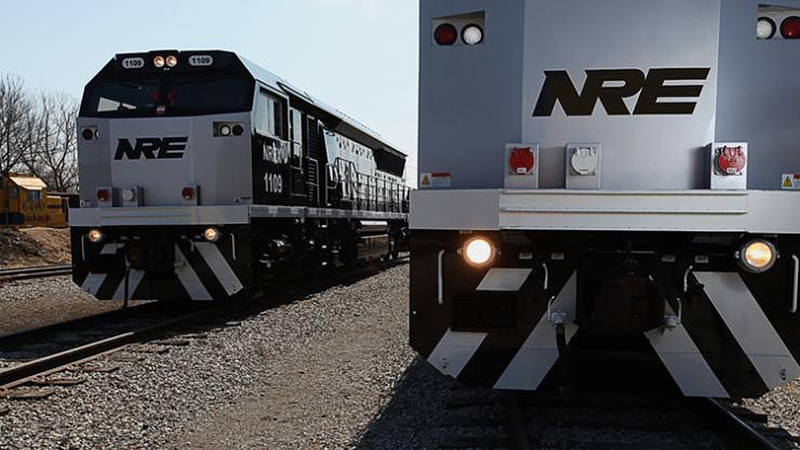 Locomotive manufacturer NRE has released details of its recent contract with Watco Australia for eight light-axle locomotives to support the latter's new contract in Queensland. The eight six-axle 42 inch-gauge locomotives will be fitted with new NRE trucks and limited to a maximum axle load of 15.75 metric tonnes, for an overall weight of 94.5 tonnes (104 tons). The locomotives will be equipped with an EMD 12-645E3B diesel engine rated at 1.6MW, an AR10/D14 main alternator and GE761 type traction motors. Performance specifications include at least 27% adhesion available during traction mode with 99% reliability in all weather conditions, and a demonstrated 250kN of adhesion-limited tractive effort. Earlier this year Watco announced it would expand its Australian operations after signing a seven-year contract with grain marketer and handler GrainCorp for haulage on the narrow gauge network in the state of Queensland beginning in 2019.